Killer Characters: February - Love it or not so much? February - Love it or not so much? So that rascally groundhog predicted six more weeks of winter. That's a lot of snow here on Mackinac Island. 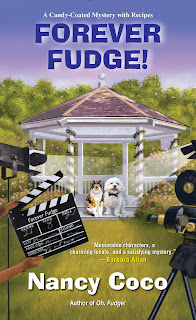 Hi, Mal here from the Candy-coated Mystery series. I'm a bit of a pampered pooch being as I'm part Poodle and part Bichon. I like things warm and dry. Snow and cold is not on my favorite list. It tends to ball up in my fur and make me look as if I'm a snow baby. So six more weeks and then the snow melts and that's the best part. When the snow melts it's like the kitchen the day after a party. Things look a little disheveled and they smell a bit funky. I'm a dog. I like disheveled and funky. I'm really good at sniffing out funky things like dead bodies and other mysterious stuff. 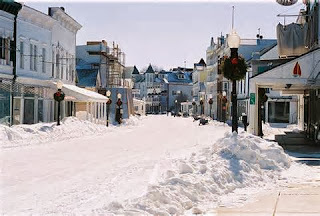 Plus, May is coming and with it the tourist season on Mackinac Island. I like tourist season because so many great people come for a visit. They stay a day or a week and leave happy and rested and full of fudge. Anyway, our next book, Forever Fudge, comes out in September 2018 and by then we'll all be wishing for a little snow. So question- do you prefer winter or summer? Should I go groundhog hunting? Leave a comment below to win a copy of one of the Candy-coated mysteries. In the meantime, stay warm and dry-Spring is on it's way. I prefer the fall and spring. I am not fond of extremes. I agree wholeheartedly with Mal - well at least about the cold and snow not so much about the funky part. They say you can put on but you can't take off but so much but that's ok. That's what they make a/c for. I'll take sunny days and being able to go outside without being wrapped in a zillion layers any day. There's just so much you can do when it's sunny and warm. As the kids say you are out of school completely in the summer. You don't have to wait for a blizzard to stay home and how much fun is that when you are just stuck at home. Maybe hunting that little groundhog might be a good idea. 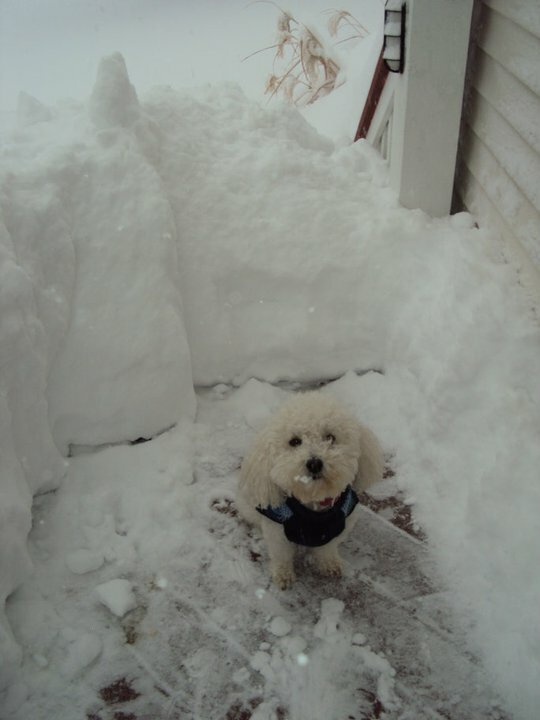 If Mal is anything like my 13 year old chihuahua furbaby, we won't hurt him but we sure could bury him in our toys in our closet around Groundhog's Day just so he couldn't see that dastardly shadow of his. Thank you for the amazing chance to win one of the Candy-coated mysteries! I’m a summer person although I like spring too. I enjoy winter, especially if we have some good snows. This would be a new series to me, but since I love candy and dogs, I am ptetty sure I would enjoy it! Autumn is actually my favorite season. I moved to south Florida from "up north" and don't miss the winters at all. I’m a Fall person! I love the colors and scents. The food! The warm days and cool nights! Winter is not so bad I guess. A good time to cuddle with a warm drink and read! I prefer summer. I enjoy the hot weather and the beach. Yes Mal, you should go ground hog hunting! This series would be great for winter reading! I don't have a favorite between the two. I think they both have their pros and con. I love the new cover! Thank you so much for the chance to win! I'd have to choose winter because I really hate the heat, however, my favorite season is fall. Neither - I prefer autumn. Neither! Winter is too cold and snowy and summer is too hot and humid. I'll take fall or spring anytime. I prefer autumn. Not a fan of summer or winter. I love both seasons for different reasons. I love the snow and I also love the summer with all the green and flowers! I'm so wishy-washy .. I truly love every season. Fall and spring tend to be blissfully comfortable in Sturbridge, but snow on the lake is beautiful, and having the boat in the water in the summer is freeing. I'm not sure I could pick just one. And forgot....groundhog hunting isn’t worth the time or energy...there are always more to check for their shadow...and Mal....honey, stay safe...not saying you can’t hold your own...but Pauxatuney Phil weighs 20 lbs...and is 22 inches long....and he has really big teeth! I really do like all the seasons, but enjoy Spring the very best. I am so tired of being cold. If I never knit another sock, I will be ok with that! I love Autumn. I feel it is the gift we get for being tough enough to face what's coming. I love the spring. It is full of hope, warmer weather and lots of anticipation for the things to come! Mal, I definitely think that you should not go groundhog hunting, because the groundhog may not be so nice when you find it. However, I would recommend sniffing out a lovely doggy park so you can have fun with friends! Both. Winter in Michigan should have snow. I live in Michigan, but I’m a troll. And summers on the water are spectacular. Love your books. I prefer Fall and Spring although neither are very long. I'm a spring/fall person. Prefer that to summer or winter. Looking forward to reading "Forever Fudge". Love Mackinac Island and this series. I prefer winter. It's too blasted hot here in summer. This winter it's been in the 70s and 80s most of the time so we really only had a couple of weeks of "cold" weather. I love the winter season because I love hunting.My children loves to play with snow and i love to see the play.